John Galliano perfume is an assertive and theatrical fragrance which makes a glamorous entry, leaving in its trail the souvenir of an unforgettable encounter. The bottle is very Boldini in its spirit and just like a nineteenth century dress, the pink raspberry coloured glass darkens towards the neck of the bottle; a technique never used before on a perfume bottle. The golden rose crowns the bottle with a romance signature. 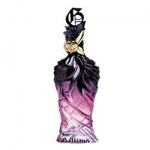 John Galliano is a sparkling essence combining aldehydes, mythical flowers, powdery amber & sophisticated wood aldehydes, for a bordelloesque aroma. John Galliano Eau de Toilette offers a union of the modern and the elegant and is a fresh version of the original bordelo fragrance. 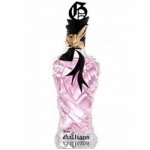 John Galliano Eau de Toilette is an ultra light and floral fragrance. John Galliano Body Lotion leaves the skin silky soft and exceptionally sensual with a richly exotic veil of the fragrance that imparts a touch of luxury to your skin. John Galliano Showergel is soft sensual and refreshing. John Galliano perfume is a volumptuous perfume that caresses the skin like the kiss of his world famous coutue collections.